US President Donald Trump blasted China for essentially “doing nothing” to help resolve the North Korean crisis, promising to put an end to it in yet another twist in the president’s rhetoric towards Beijing. The statement comes just two days after Pyongyang test-fired what it claims to be its second intercontinental ballistic missile (ICBM) which could reach any place within the US mainland, according to North Korean leader Kim Jong-un. The first ICBM test was carried out on July 4. 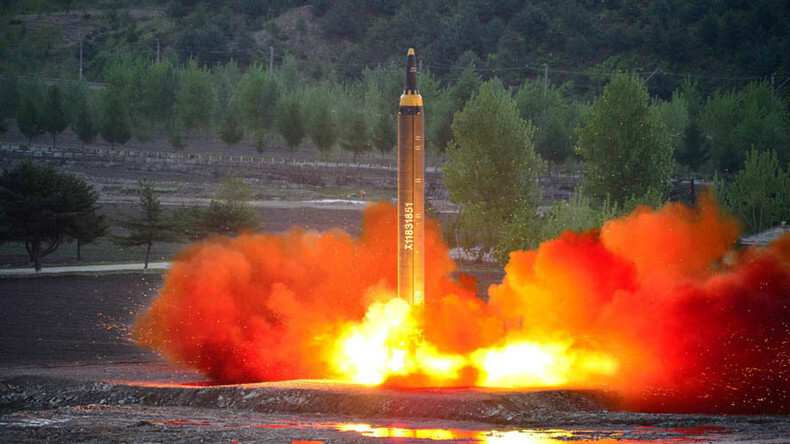 While both were considered to be ICBMs by the US and South Korean military, the Russian assessment is that they were intermediate range missiles (IRBM), meaning that they are not capable of hitting the US. The latest tweets apparently show another change in Trump’s attitude to China, while the countries remain at odds over how to deal with North Korea. However, in late June, the US imposed sanctions on a Chinese bank for allegedly laundering money for North Korea. 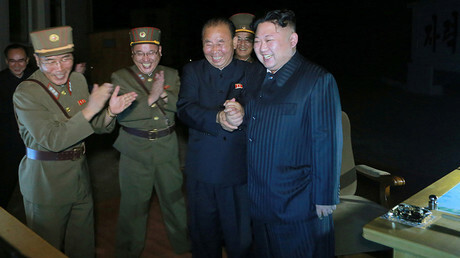 Restrictions were also placed on two Chinese citizens as well as a shipping company for allegedly assisting North Korea’s nuclear and missile programs. After Xi’s visit to the US in April, Trump said he would make Xi a better trade deal if China solves the “North Korean problem” itself. He added, however, that the US may have to do it on its own. In March, Trump criticized China for not doing enough regarding North Korea. While the US and China agree that North Korea is a “top security threat,” the approaches of both states in solving the crisis remain a point of contention. The US approach to dealing with North Korea involves restrictive measures and military deterrence, holding military drills with its allies in the region and deploying the Terminal High Altitude Area Defense (THAAD) system in South Korea to protect it from its communist neighbor. China has serious concerns over THAAD, considering it a threat to its own security.